Today we rely on a label to tell us that the food we are consuming is fresh and natural, and that when we buy ground beef at the store, that the animal was treated humanely. In most cases, our connection to the food that we consume is through a smattering of labels, certifications, and nutritional facts. How have we, as a species, become so detached from our food, something so deeply fundamental to what it means to be a human? To put this in perspective, our country is 243 years old (on a continent that’s been inhabited for at least 130,000 years). For two-thirds of our nation’s existence, most Americans would either have grown all of the food they consumed themselves (or directly known the person who did) because our systems of agriculture were constrained to local regions due to the technological hurdles of harvesting, storing, and transporting food. If someone was using a questionable agricultural practice you probably heard about it because it would be discussed at the town store, and across hedgerows and fences. What’s more, during this time every town was guaranteed a certain amount of necessary jobs – at the grain mill, in transportation, and overwhelmingly during harvest (a young man would not be lacking for labor in September). Fast forward to today where much of the food we eat comes from other states and countries. Processed foods are assembled from constituent parts that come from around the globe, and food production has either been largely automated or relies upon migrant labor. And this system has become efficient and convenient: I can purchase strawberries in January in Colorado, I can buy energy bars for a couple bucks that contain soy, honey, raisins, dairy, and quinoa (a staple grain for terrace-farming Quechua people in the Andes that is now a popular “superfood” in this country). If the producer of those bars has to deal with rising milk prices in the Midwest, she can import the milk from Canada and keep the bar cheap. As a modern human I can reap the rewards of an efficient agricultural system but what has been lost in this push towards progress? Industrial farming practices such as deforestation, agrochemicals, and tilling result in the loss of 24 billion tons of fertile soil each year. Such a rate of erosion has resulted in a cumulative loss of 1/3 of the world’s farmable land. Separated from the production and distribution of our food, modern humans must now rely on labels and marketing to understand what we are eating. There are a lot of encouraging examples today of individual farms and consumers producing and demanding regeneratively-sourced agricultural products (e.g. Real Organic Project, Land to Market, Regenerative Organic Certification). There are community groups, NGOs, food system aggregators, farmers, and thought-leaders working tirelessly to bring people back to an awareness of our terrain, connecting them with the soil and the farmers that cultivate our land. Unfortunately, much of their positive impact is often lost in the massive network of the global food system. Maybe we need to think about these food systems themselves – farmers, supply chains, and grocery stores – as the place to focus our energy. Since we all live in the 21st century and use labels as a way to connect to, understand, and make choices about our food, we need to know what these labels and certifications actually mean. How we define terms on these labels (terms like organic, humane, regenerative, and fair trade) has real consequences for our land, species, and climate. In some ways, all we have are our words and so how we use them matters. Consider the words "fresh" and "natural"; do the products labeled as such always live up to your innate human experience of what these words mean? When I lived in Laramie, Wyoming I used to gather eggs each morning from the chicken coop in our backyard. These were fresh eggs. Now as a city dweller, I purchase eggs at natural grocers, and after some research I’ve figured out which brands generally supply eggs within 3 days of laying -- still decently fresh. However, in the egg aisle of most grocery stores, all of the boxes say "fresh", yet we know some of them can be up to three weeks old, generated in CAFOs. How are these eggs really “fresh” and what does that word mean anymore? Even more unsettling is that many of these CAFO eggs are also Certified Organic. Certifications can give us reliable information about our food choices. They hold producers accountable and can create better transparency in our food system. Unfortunately, there are two big problems with certifications in a modern grocery store: accuracy and over-saturation. Some labels are better regulated than others, and there are often too many labels for consumers to understand. Why does my jug of milk need to say “Gluten-Free” and my pasta “Vegan” on the packaging? Not only can these labels be unnecessary (and somewhat misleading) but they obscure other labels that are actually worth paying attention to. Finally, what happens when the standards behind a label change? For example, how many people know that both of these farms below are Certified Organic? Organic chicken farm photo courtesy of the Cornucopia Institute. Chickens at Philo Ridge Farm in Vermont. So how do we keep track of which labels are legitimate and which are meaningless? Here is a brief run-down of common food labels, what they really mean, and how rigorously they are enforced. What it means: These are crops and/or animals, respectively, that are grown without synthetic fertilizers, synthetic pesticides or sewage sludge; are not genetically engineered or irradiated; are not treated with synthetic hormones or antibiotics; are only fed organically grown feed (without animal byproducts); have access to the outdoors and if are ruminants, have access to pasture; and are not cloned. Where you will see it/ who regulates it: USDA’s National Organic Program regulates labeling requirements for organic agricultural products and can be found on produce, dairy, meat, processed foods, condiments and beverages. If food has a Certified Organic label it means that at least 95% of the ingredients are certified organic. If the label says made with Organic ingredients, only 70% of those ingredients need to be Certified Organic. What it’s lacking: While the USDA National Organic Program was a major first step in regulating the term “organic” on labels, some food advocates claim that label doesn’t cover enough. In addition, it also includes crops grown hydroponically (so no soil involved) and CAFOs. What it means: Although there is growing demand for organic food, less than 1 percent of U.S. farmland is Certified Organic. Transitioning from conventional to organic growing methods takes three years and farmers are not compensated for this initial investment; an investment that is often cost prohibitive for small to medium-sized farms. 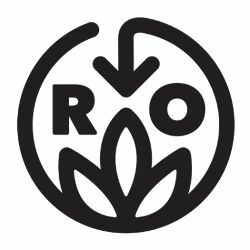 Where you will see it/ who regulates it: During this three-year conversion process to organic, Quality Assurance International (QAI) will certify crops in transition to organic. Certified Transitional not only reduces uncertainty for farmers by providing them with greater financial security and a market to sell their products, but it helps to create more organic farmland – this is a win-win. What it’s lacking: Being USDA Certified Organic has its own short-comings (see above). What it means: The Certified Naturally Grown label denotes that the food was grown using the same standards as those required for organic, but on a farm that has not been officially certified by the National Organic Program of the USDA. Where you will see it/ who regulates it: Certified Organic, as mentioned above, is often cost prohibitive to farmers, so Certified Naturally Grown, which is administered by other farmers who act as inspectors for the program, officially acknowledge with a label that the farm implements sustainable practices that are consistent with organic. What it’s lacking: This label isn’t as well verified as Certified Organic but rewards farmers who use organic practices but may not have the ability (financial means) to become Certified Organic. What it means: Regenerative Certified Organic is the “beyond organic” label, designed to distinguish farms that are doing more to improve soil heath, manage the land, sequester carbon, care for animals, and provide a work place where farmers are treated fairly. The three main pillars of the certification, soil health, animal welfare, and social fairness include restrictions around gene editing and soilless systems, animal transport distances and CAFOs, and farmer working conditions and labor. Where you will see it/ who regulates it: With the Rodale Institute, Patagonia, and Doctor Bronner’s forming the Regenerative Certified Organic Alliance, this certification is a needed and timely push for the health of our planet. Managed by NSF international, there are currently 22 brands and farms participating in the pilot program, which is set to officially launch in early 2019. What it’s lacking: ROC is a good next step but my fear here, is that the certification is more top-down instead of practitioner driven and adds additional costs to farmers, who may already be implementing these practices but unable to afford the certification. What it means: Real Organic believes that crops should be grown in soil (not hydroponically) and livestock raised on pasture-based systems because these practices lead to healthier food, people, ecosystems, and eventually climate. With Certified Organic as a prerequisite, the Real Organic Project aims to differentiate those farmers who are actually embracing practices that promote soil health, incorporate new scientific knowledge, and treat animals humanely (i.e. not in CAFOs). Where you will see it/ who regulates it: Launched a week prior to ROC, this certification is driven by farmers who feel the that Certified Organic label no longer reflects how organic farmer’s farm, especially given the USDA’s recent decision to drop the proposed rule on animal welfare and to allow hydroponics. The certification is still in research and development. What it’s lacking: It isn’t lacking anything really but given some of the similarities, I am not sure why ROC and Real Organic didn’t combine forces, as they are both “beyond organic” certifications, working on similar shortcomings associated with the Organic label. What it means: Genetically Modified Organisms are plants or animals that have been genetically engineered in a lab environment that goes beyond traditional crossbreeding. Humans have been altering the genomes of plants and animals for centuries using traditional breeding techniques; this practice is often referred to as artificial selection. By transferring new genes from one species into another species, scientists are able to have precise control over genetic changes thereby circumventing traditional breeding techniques. Where you will see it/ who regulates it: Crop plants and farm animals are common examples of organisms that have been subject to genetic modification as the optimization of certain traits confers significant advantage. This is a third-party labeling program that certifies products grown without using genetic engineering. The certification takes 4-6 months and can be relatively expensive depending on the product and the number of ingredients that require testing. What it’s lacking: With changes in climate and new advances in science, specifically CRISPER technology, our approach to and definition of GMO’s may need to change; how we define and interpret this label may alter in the future. What it means: The American Grass-fed Association’s (AGA) standards concentrate on four main areas of production: diet, confinement, antibiotics and hormones, and origin. This certification covers cattle that were born and raised in the US, have only been fed grass and forage from weaning until harvest, were raised on pasture without confinement, and were never treated with antibiotics or growth hormones. Where you will see it/ who regulates it: This is a problematic label because all cattle eat grass and what constitutes “grass-fed” is poorly defined. Furthermore, in 2016 the USDA dropped its official definition of grass-fed, thereby making the “grass-fed” label more of a marketing label rather than denoting anything explicit. Thankfully, the American Grass-fed Association – an organization that helped the USDA define grass-fed – developed its own independent grass-fed certification. What it’s lacking: Not much really. The AGA’s definition of grass-fed far surpasses the USDA’s definition, which focused only on what cattle ate. How they compare and how they are lacking: These are some tricky labels as all three mean something slightly different and exist to include a broader range of farming practices. 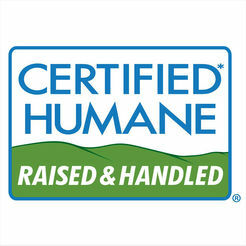 The Humane Farm Animal Care (HFAC), an international nonprofit, oversees and administers the Certified Humane label. The primary objective of the label, like the other two, is to improve the lives of farm animals from cradle to grave. These are animals that have never been kept in cages, are free to do what comes naturally (pigs must have the freedom to root and chickens to fly), are fed a diet of quality feed, and are not given antibiotics or growth hormones. Animal Welfare Approved is very similar to Certified Humane but more rigorous and requires farmers to meet higher standards when it comes to ammonia levels in cages, indoor space access to pasture, hot iron branding, and beak trimming. The American Humane Association, and its accompanying seal, is the largest certifying group of the three, and it is no wonder given the level of rigor enforced with the certification; a farm can keep their certification even if they are only 85% compliant. Honestly, this certification seems mostly geared towards large conventional farms that want to differentiate themselves but aren’t really going the whole distance when it comes to animal welfare. What it means: As the world’s first regenerative supply chain program for meat, dairy, wool, and leather, The Land to Market label attempts to market management practices that improve the soil, land, and environment. To qualify for the program and to be entered into the “Verified Regenerative Supplier Roster”, farms and ranches must meet certain ecological outcome verifications (EOV). These EOVs – or the empirical instrument used to measure ecological impact – track outcomes in soil health, biodiversity, and ecosystem function (water and mineral cycle, etc.). Where you will see it/ who regulates it: The certification was launched this past year by the Savory Institute, an organization that encourages animal grazing and management practices that improve soil health and the environment. The Land to Market seal is in its test phase and should be appearing on the packaging of its “Fournier Founder” brands in 2019. What it’s lacking: It is a great step forward but it does add additional costs, caters to certain brands, requires both short- and long-term monitoring. It also doesn’t regulate any off-farm amendments or methods (e.g., the addition of synthetic substances to soil and crops), only what is happening on the actual farm and land itself. What it means: Natural is a label present on a lot of food products, some of which you’d hardly call natural (e.g., artificially flavored drinks full of high-fructose corn syrup). So then, what exactly does natural mean? It appears to define products that are minimally processed and do not contain synthetic substances, artificial flavor, or added color. Where you will see it/ who regulates it: Although consumers associate “Natural” with something good, it isn’t administered or regulated by the FDA, USDA, or any other third-party organization. 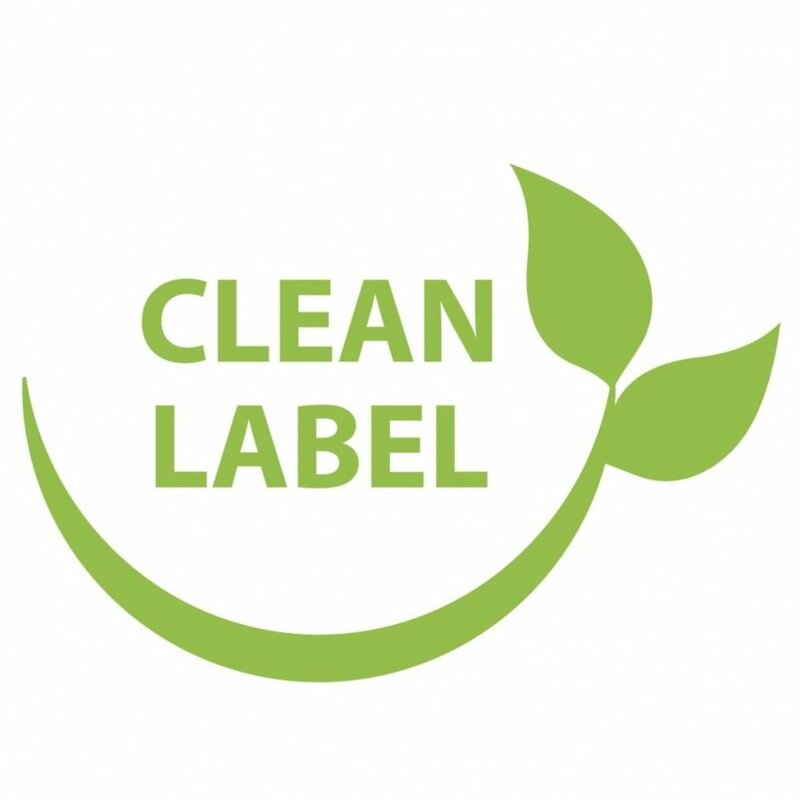 The natural label is not to be confused with the Certified Naturally Grown label, which basically means that someone is certifying that it is indeed natural – again though, there is a lot of space for improvement and rigor in this label. What it’s lacking: This label lacks rigor and transparency and is, quite simply, a marketing tool aimed at making the consumer feel better about their food and beverage choices. What it means: The Clean label is completely consumer-driven and doesn’t really mean anything. The label is rooted in the undeniable fact that the sales of “Clean” products keep rising compared to traditional products’ sales. Very generally, these are products with fewer, simpler ingredients and have no artificial ingredients or synthetic chemicals. These are obviously all good things to have in our food but the label is there for the consumer not the producer. Where you will see it/ who regulates it: It isn’t regulated and you will see it everywhere! What it’s lacking: Structure or regulation around its use. As I reflect on the landscape of food labels, I feel sad because they are a constant reminder of how disconnected we have become from our food (our basic biology). And this exercise of “digging deeper” left me wondering: how is it that our system of agriculture, something that for millennia was so intrinsically local that it never had to be described as such, has evolved into something so vastly global that none of us can be sure where any piece of it comes from without a label? The beautiful thing is, we are an adaptable, creative, and resilient species that is truly capable of reconnecting to our biology - because it is us - and changing our food system. As individuals, we make small but impactful decisions every day. We can purchase products with more progressive labels (Humanely Raised or Land-to-Market), source our produce from local farmers, joins CSAs, grow our own vegetables and compost our waste, vote with our dollars, and demand more from our politicians. Most importantly, we can be informed citizens and use this information to encourage, support, and enact change.